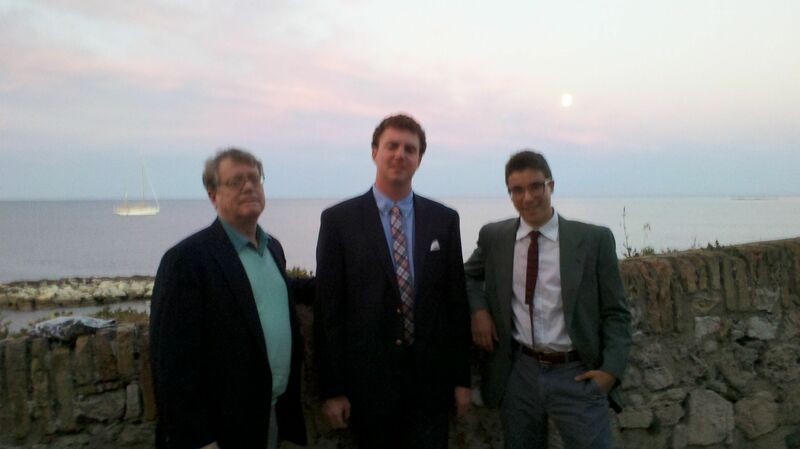 My account of our family vacation in the south of France continues. After 3 days of bliss and quiet at le Mas des Etoiles in Provence, we were almost in Cannes. The D7 from Gordes took us to Aix-en-Provence, a very pretty city where one of our son's friends is taking a semester abroad program in September. It meant a lot to Regan to see it, so we stopped for a falafel lunch as most cafes along the beautiful Cours Mirabeau were closed. Our detour was a walk through the interesting Musee Granet modern art collection; up a small, very elegant lane lined with mansions it is beside the France campus of Nashville's Vanderbilt University. Super impressive. We drove on along the coast until a break in funky, touristy St. Tropez, where it was Harley Davidson Day. Hmmmm. It's a very famous destination, of course, even Regan knew about it from some rap lyrics but we all thought 'no need to return here' despite the enduring charm our guidebooks proclaim. From St. Tropez east along the towering cliffs of the Corniche, Cannes fever was in the air. Traffic, blowing blond hair billowing from Ferrari convertibles, cameras everywhere. We had two nights of tourist freedom before the festivities for my husband's film, which was in competition at the Cannes Film Festival. 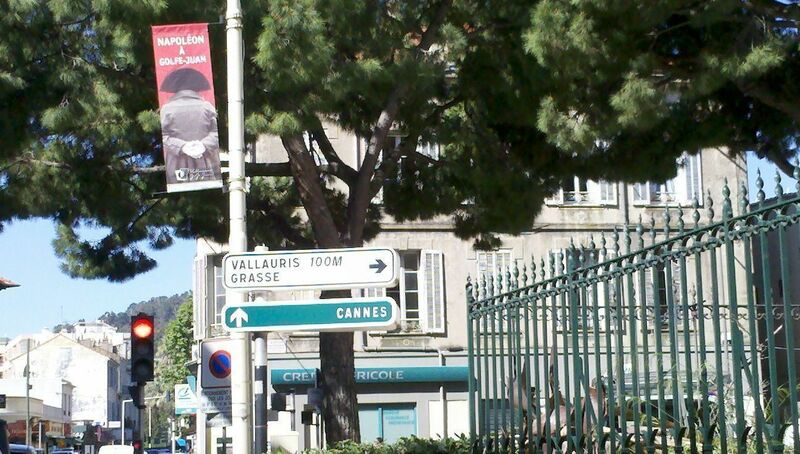 Our producer friend David Gil recommend staying in either Juan-les-Pins or La Napoule — both a little bit outside of cite de cinema — then renting a car to avoid the exorbitant taxi fares. Online, we booked a furnished self-catering flat in Juan les Pins, a suburb of Antibes. The difference between rural Provence and urban Antibes is depressing. After checking in at Residence Olympe, operated by Odalys, the desk clerk helps us call a tow truck because our rental Renault refuses to start (and stop blocking their driveway). In 45 minutes, Renault Assistence arrives, a cute young Arab in a huge car hauler who shakes his head at the conflicting commands on the dashboard, whips out his iPhone, and calls his boss. 'Take it away' is all they can say. The first night at Odalys we get a grim, tiny, ground floor one-bedroom apartment (the kind that makes TripAdvisor users shriek in agony) so we plan to move the next day when Regan's roommate Tucker joins us. He is so thrilled to have someone to travel with who is within 40 years of his generation. Meanwhile, the only supper available without a 40 euro taxi is at the local 24/7 bowling alley, where the forfait is 10 pins of bowling with every entree. It's after 10pm and we just want to sleep, but hey, it's free bowling, so we work our way through a bar full of racing memorabilia (we're about a 2-hour drive from the Grand Prix of Monaco) and onto the lanes. Ron, raised in the lanes of Garland, kills us both. 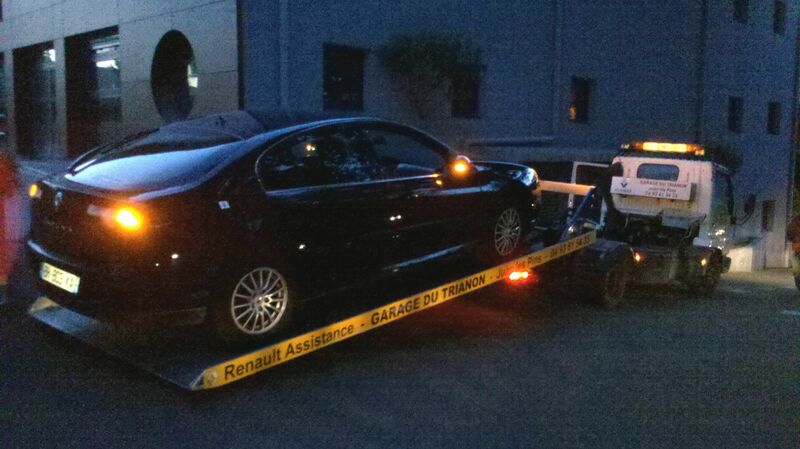 In the morning, Renault Assistence sends a taxi to take us to the Europcar office at the airport in Nice. We are picking up Regan's roommate who will travel with us for the next week. Yes, it is 95 euros for a 20-minute drive (that's about $146 today), but we love our driver, Jean Jacques, who also works for Renault Assistence. 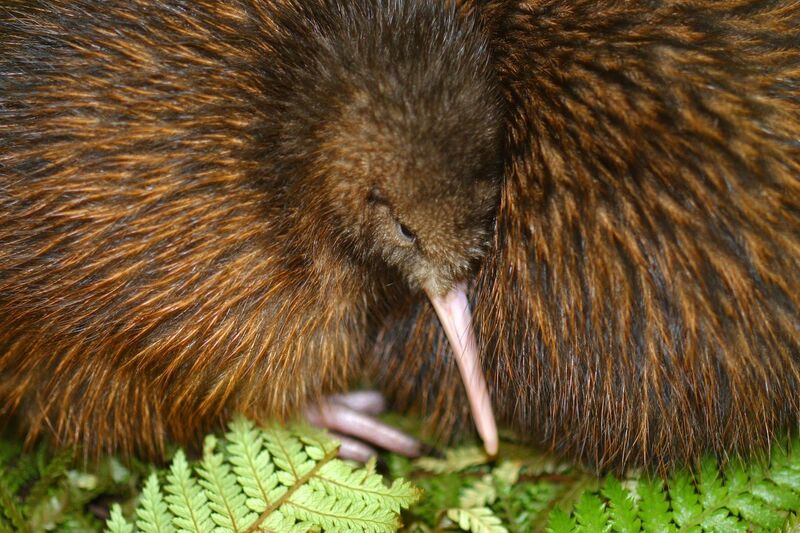 By this time we all know how to pronounce "REHN-oh AZzees-tonnzze" like the locals, who must use it all the time. Regan's roommte Tucker arrives from his non-stop flight ready to party. Back story: I had had the pleasure of retrieving Regan and his stuff from college the week before we left, and all the roommates were green with envy that Regan was about to replicate the episode of "Entourage' where Vinnie and his pals accompany their film to Cannes: yachts, beautiful girls, champagne, fine foods — the boys were ready. As it happened, Tucker was the lucky one who negotiated with his parents the right to go. And we were delighted to have another 'son' along who would go party-hunting with ours. From the Nice Airport, where Cannesdemonium and Jean-Paul Belmondo flags were whipping the air into a frenzy, we drove straight north, inland away from the gorgeous Mediterranean coastline. This is where you understand why the region is called Les Alpes-Maritimes — snow-covered Alps to the east and north and the sparkling Cote d'Azur of the Med to the south. We all admire the view from our new rental Renault. 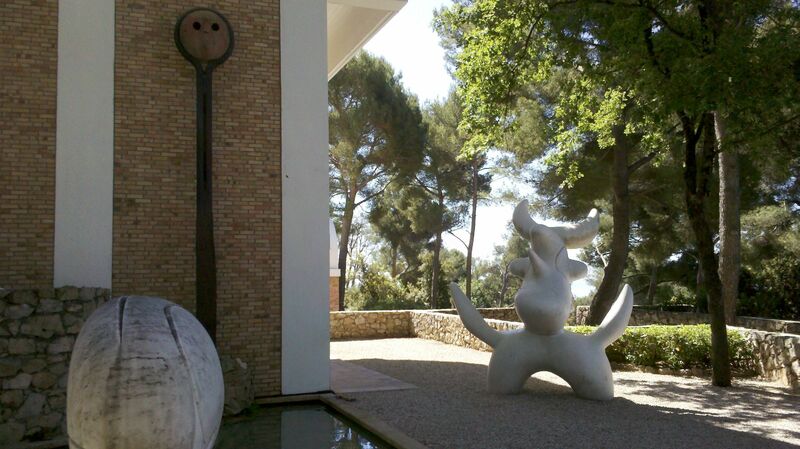 Our goal of many years was Vence and Saint-Paul-de-Vence, to see the Fondation Maeght, one of the most wonderful collections of modern art in the world. The collection of the Maeght family, art dealers who were contemporaries of Picasso, Matisse, Braque, Miro, Giacometti, and all those whose names didn't survive the passing of time, includes a strikingly white, sculptural building designed by Lluis Sert. 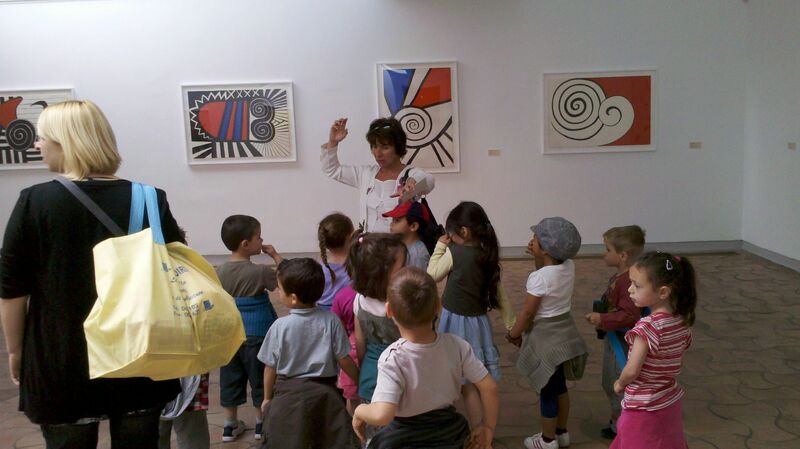 Regan recalled touring the Miro Museum in Barcelona that he had designed, and the boys are impressed that Sert had led the Harvard School of Architecture in his later years. Braque fountains, a Miro sculpture garden, paintings, bronzes, wonderful temporary exhibitions of French and Russian modern art, some Leger graphics… it is overwhelming. Soothing, beautiful in a way that has become classic, all the things that Cannes would not be. The boys wanted to stop in some of the Saint-Paul galleries so we wondered at the 100,000 euros "masterpieces" for sale, then drove to Saint-Jeannet for lunch. The hill village, hometown to our Renault Assistence driver Jean-Jacques, is tucked in the slopes between Les Baous, three unusual limestone formations that jut up from the hills like those captured by the Chinese landscape painters of Guilin. Tucker is still going strong and wants to climb the biggest but our flip-flops will not hold up on the gravel route, so we decide to have salade Nicoise instead. Sunny and cool day with a mountain breeze, distant views of the Med, lots of older men with pretty girls on our cafe terrace. All is right with the world. We pause in Vence to peak into La Chapelle du Rosaire, a chapel that Matisse had painted in his later years. Our Cadogan guide to the Cote d'Azur says a young nurse who had cared for the painter joined the church and, dreaming a of new chapel, asked Matisse to help the Dominican sisters design it. Inside the small white structure are the big, bold and very loose frescoed line figures associated with Matisse, and a gorgeous stained glass window over the alter. More interesting to us than the murals are the colorful, patchwork vestments and priests' robes he designed for those giving sermons in the chapel. Hard to imagine that anyone would be able to concentrate on the liturgy if delivered by someone looking like a corps dancer in a Diaghilev ballet, but Matisse's work is truly the gift that keeps on giving, as tourist donations continue to fund the Order's work. We return to a bright apartment with a nice balcony, plenty of space for two strapping teens and their tuxedo bags, and head up to the Odalys rooftop pool. 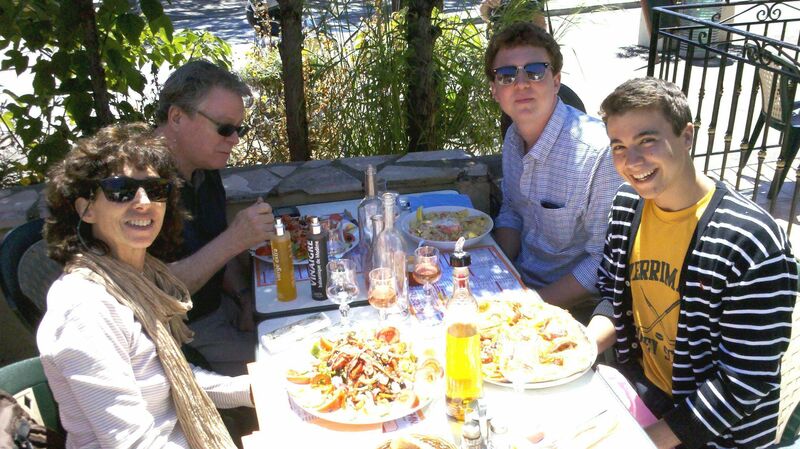 Jean-Jacques has recommended his favorite restaurant in Antibes to us for dinner, and we have booked Les Figuiers des Saint-Esprit, on Saint-Esprit street on the ramparts of Antibes. Seated in an enclosed patio under the branches of an old fig tree, we dine very very well and love the gracious service and imaginative menu. Tucker now knows he is in France. In the morning we pack up to move into the swank Cannes apartment just one block from la Croisette rented from EliteConcepts. Elite, good way to describe it.